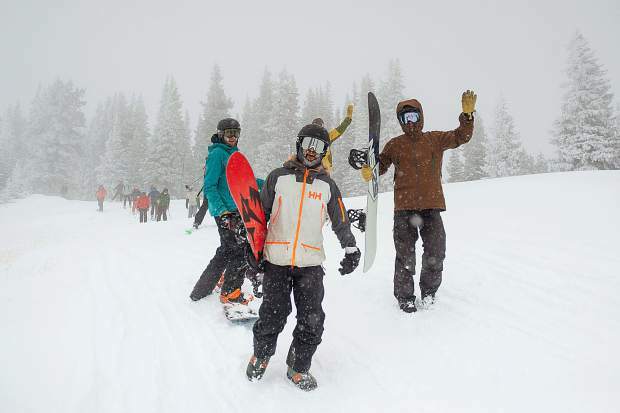 Nick Becker, front, and other skiers and snowboarders hike up Highland Bowl on Saturday for opening day. 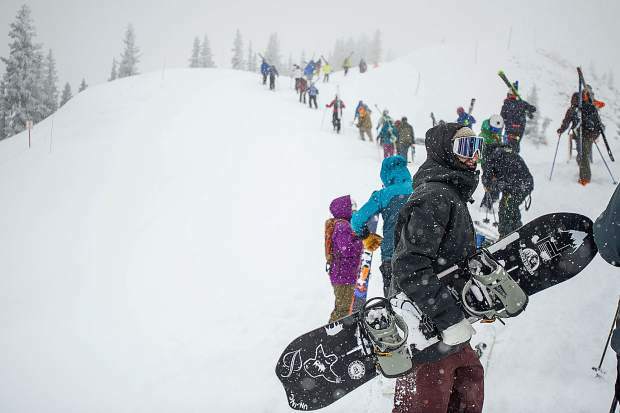 Snowboarders make their way to Exhibition lift at Aspen Highlands for opening day on Saturday. 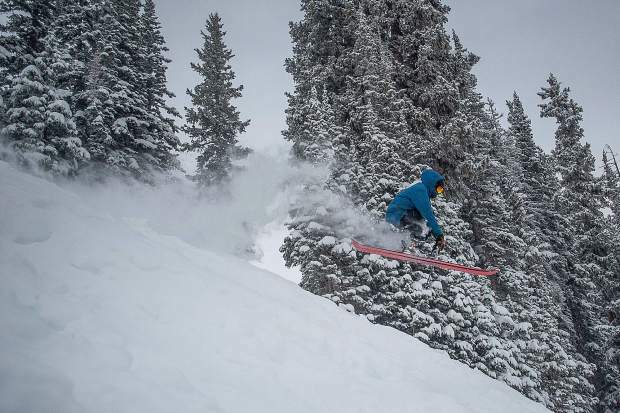 Bryan Brown gets air skiing at Aspen Highlands for opening day Saturday. 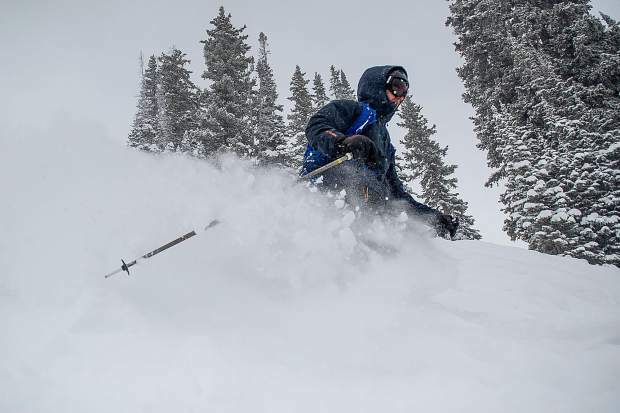 Sam skis through powder at Aspen Highlands for opening day on Saturday. The Loge lift sign referring to the powder day opening on Saturday. 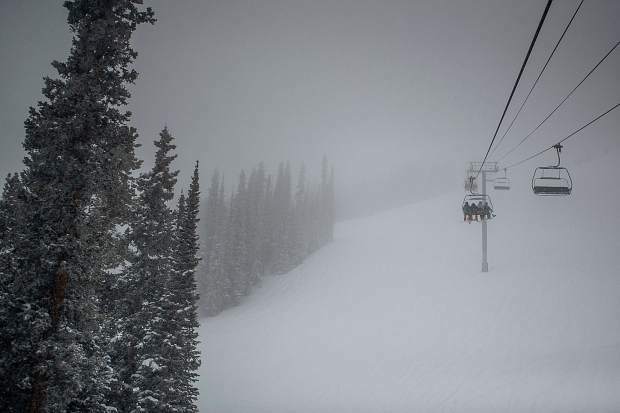 Visibility on Loge lift at Aspen Highlands for opening day on Saturday. 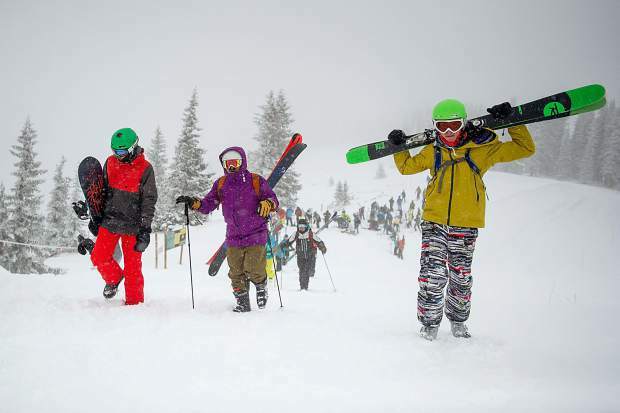 Snowboarders head toward Highland Bowl right after ski patrol dropped the rope for its opening on opening day at Highlands. 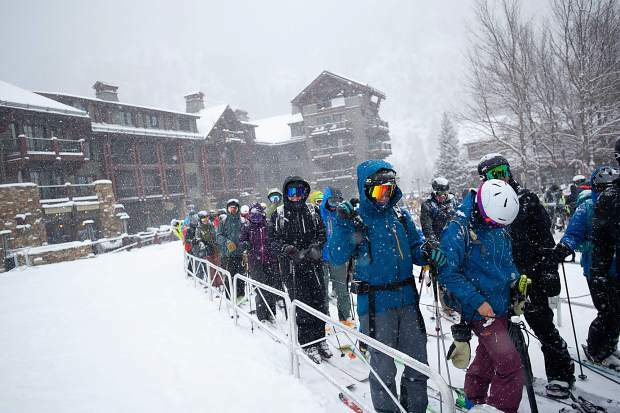 Skiers and snowboarders wait in line at the Exhibition lift at Aspen Highlands for opening day on Saturday. 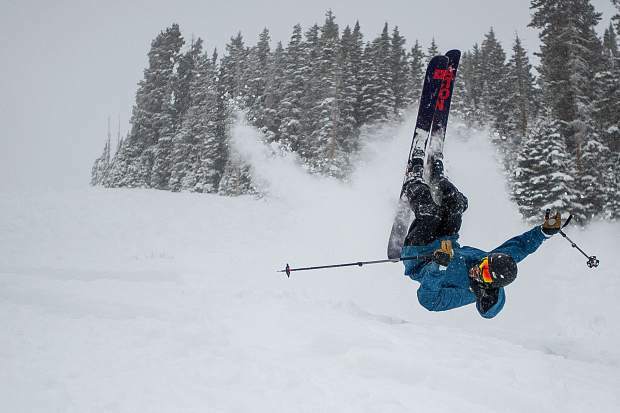 Bryan Brown attempts a backflip without enough speed and lands in deep powder under Loge lift at Highlands for opening day Saturday. Rolf Fraser heads up Highland Bowl on Saturday for opening day. 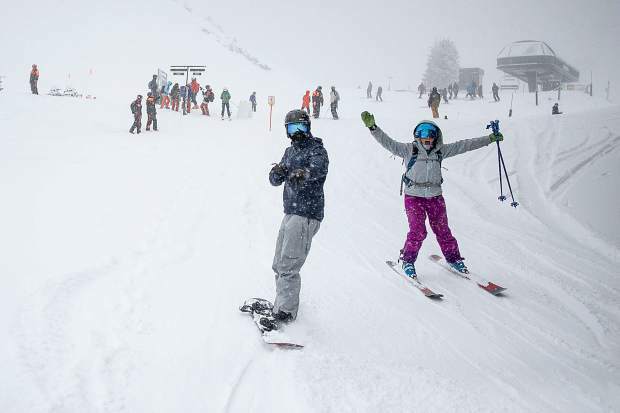 Snowboarders and skiers head toward Highland Bowl right after ski patrol dropped the rope for its opening on opening day at Highlands. Katie Houser and Max Rispoli head towards Highland Bowl after ski patrol dropped the rope on Saturday. 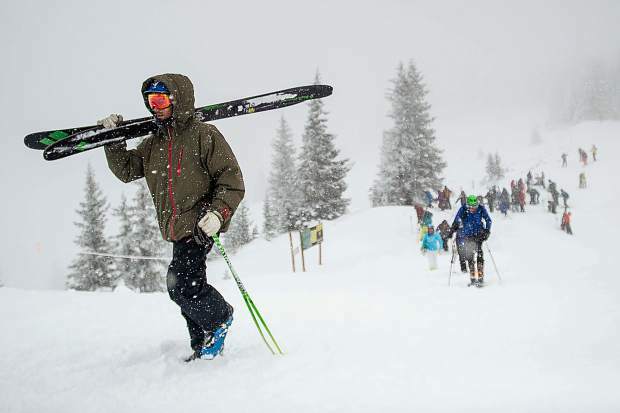 Skiers and snowboarders hike up Highland Bowl on Saturday for opening day. 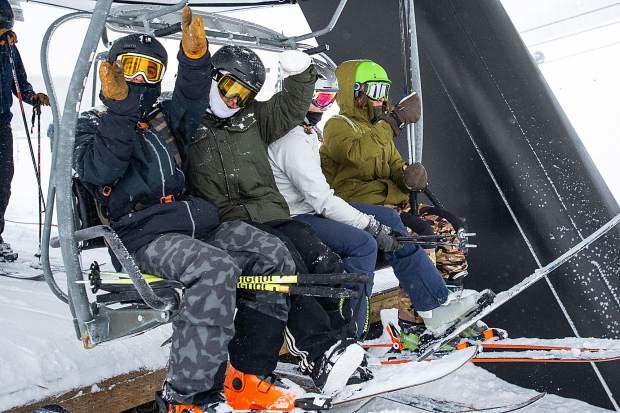 The first people in line board the Exhibition lift at Aspen Highlands for opening day on Saturday. 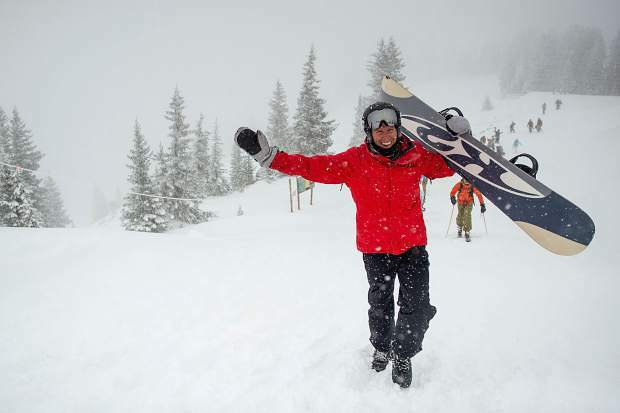 A snowboarder gets excited boarding second chair at the Exhibition lift at Aspen Highlands for opening day on Saturday. 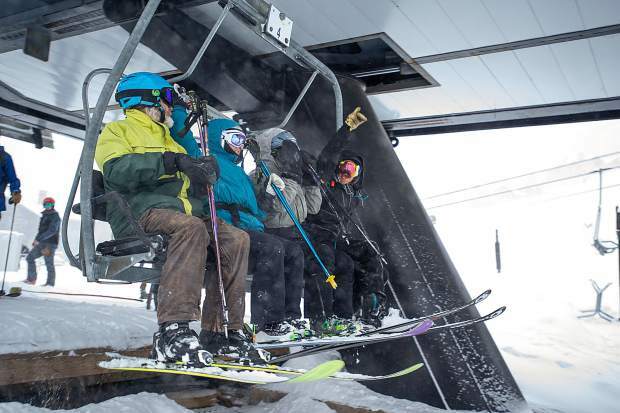 Excitement on the Exhibition lift at Aspen Highlands for opening day on Saturday. 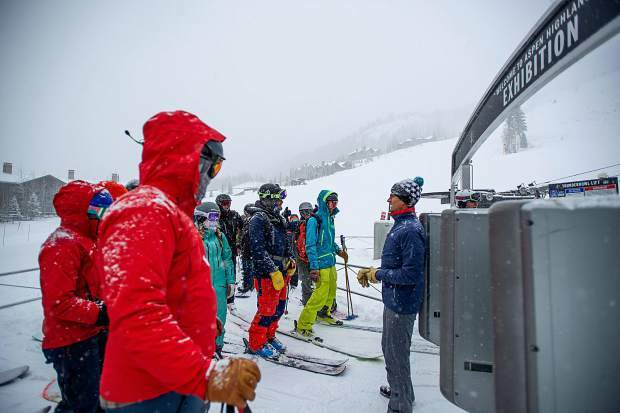 Aspen Ski Co. CEO Mike Kaplan, right, keeps order of skiers and snowboarders in line at the Exhibition lift at Aspen Highlands for opening day on Saturday. 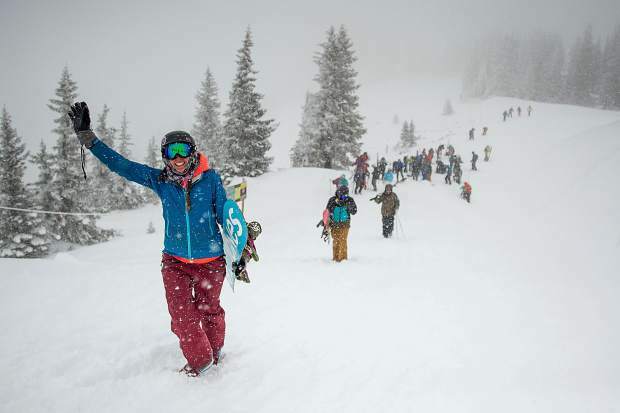 Snowboarders raise their arms in excitement before they hike up Highland Bowl on Saturday for opening day. Highland Bowl opened up on Saturday afternoon for opening day. 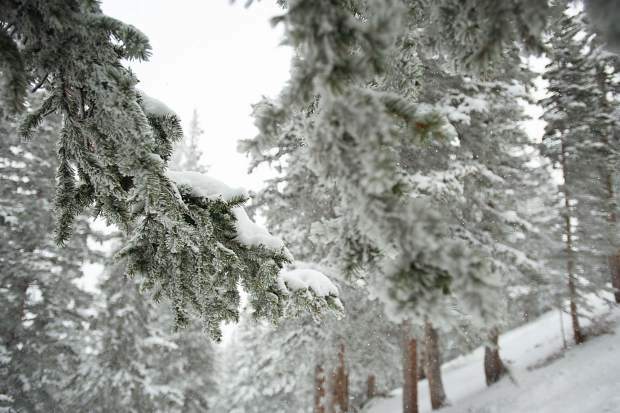 Snow covered trees on Deception over in Olympic Bowl on Aspen Highlands for opening day on Saturday. 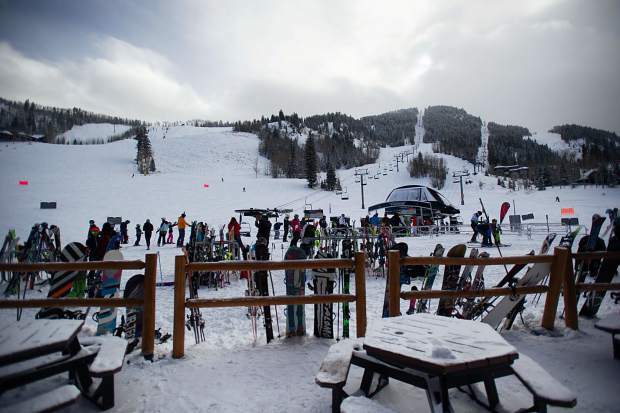 Skis and snowboards line the fence at the Aspen Highland's Ale House on Saturday for opening day. 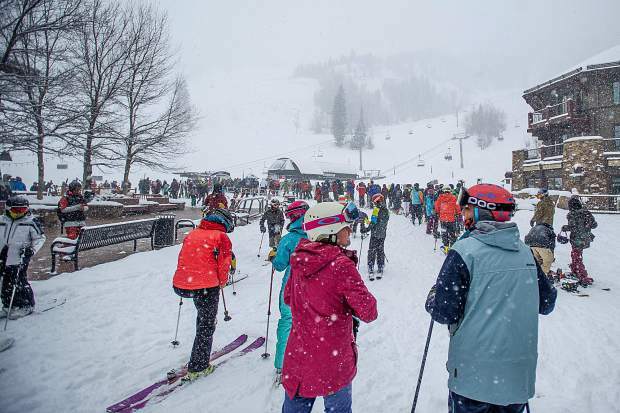 This season’s mountain openings have been one big celebration after another, and Saturday at Aspen Highlands felt like the biggest of the past two weeks, with another round of steady snow welcoming skiers and snowboarders all morning. 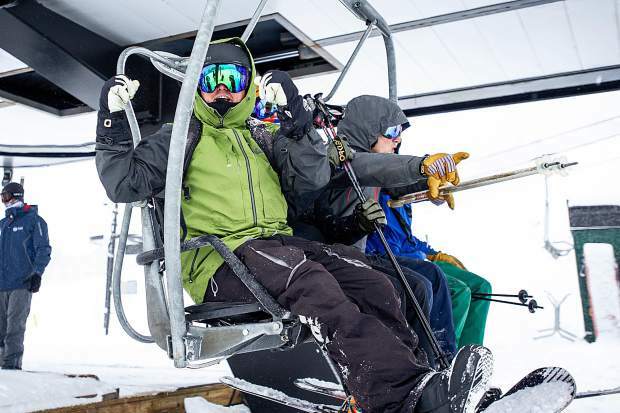 The biggest thrill for many who made it out to the week-early opening at Highlands was being among the first to hike Highland Bowl on the first day the chairs were spinning. 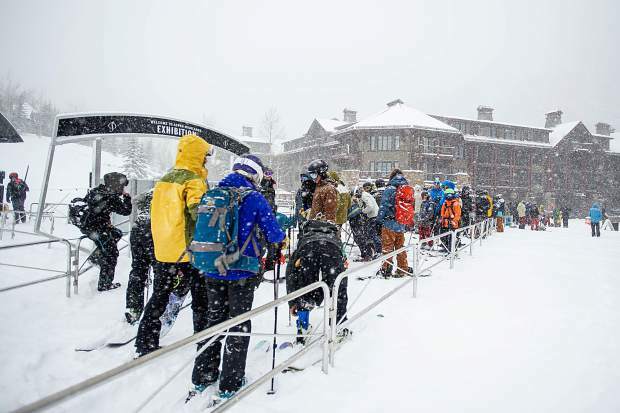 The famed bowl opened just before 11 a.m. and there was a steady stream headed up to the summit all day. Of the 700 acres open Saturday at Highlands, about 250 of it was in the bowl. 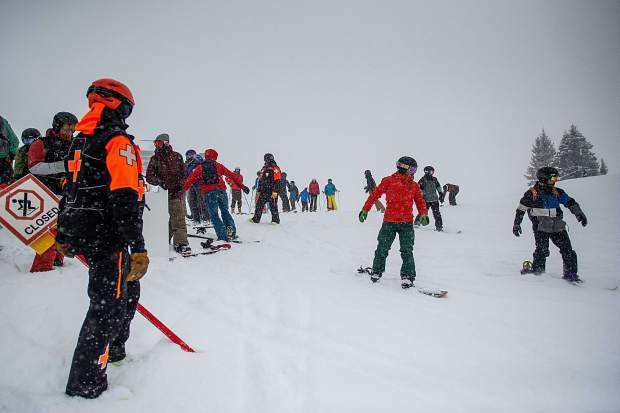 Mountain manager Kevin Hagerty said the entire Highlands ski patrol crew was on the mountain early Saturday morning getting the front of the hill ready, then working back into the bowl. 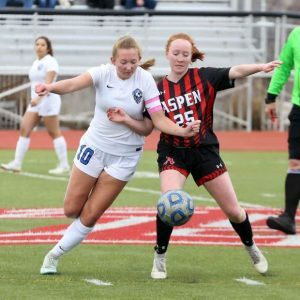 “We finished the rest of the mountain first, … and then we worked up and did some ski cuts in the Temerity area and then moved up into the bowl,” Hagerty said just after the ropes dropped to the bowl. “It takes a while to get up there and we got it done. The guys did a great job this morning getting everything open up there. 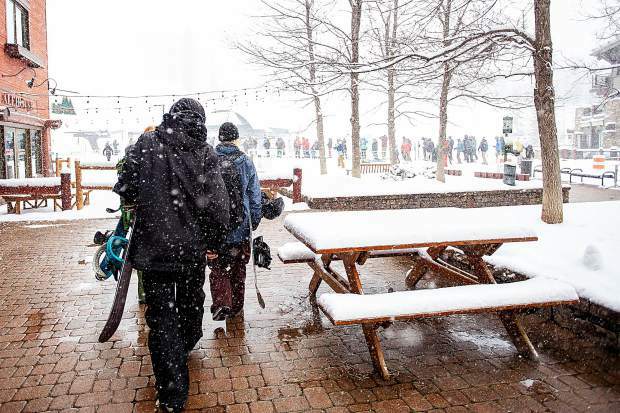 Hundreds of skiers and snowboarders were in line when the Exhibition lift opened just before 9 a.m. and many of them later made up the line hiking from Loge Peak to the 12,392-foot summit of Highland Peak (about a 720-foot elevation gain). 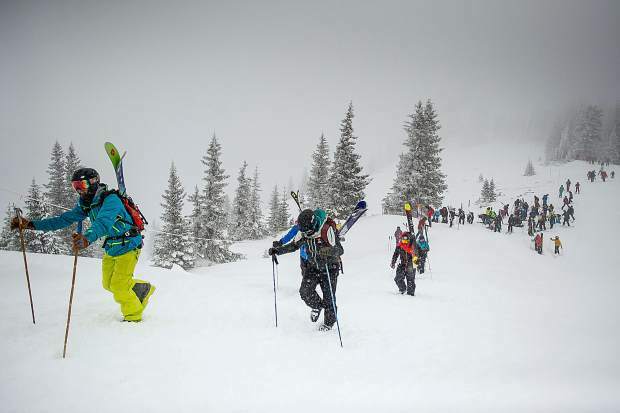 After weeks of “bootpackers” walking up and crisscrossing the bowl to tamp down the snow, parts of the bowl opened to rave reviews Saturday. If you had a beard, it was covered in snow and ice and was broken by a big smile coming off the mountain, including Hagerty’s. “It all came together really well,” he said. 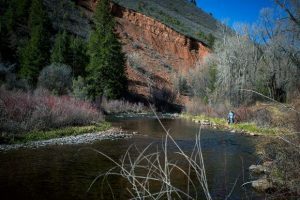 Patrollers were in the bowl in the middle of October during those storms, “and then we started calling in bootpackers after that,” he said. Hagerty estimates they have had bootpackers in the bowl about 15 days already this season. 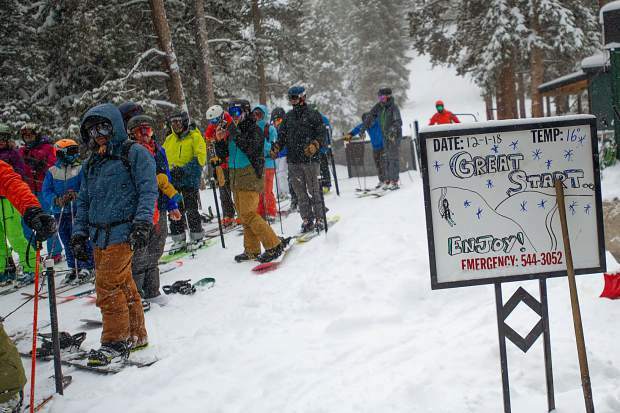 The Colorado Avalanche Information Center reported that two skier-triggered slides occurred Nov. 25 when the bowl was not open; no one was injured. 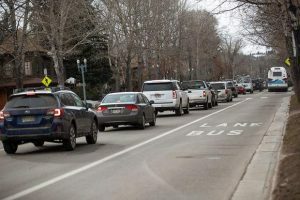 Aspen Highlands was originally scheduled to open Dec. 8, but last week Skico officials said the recent series of storms was enough to give skiers an extra week. 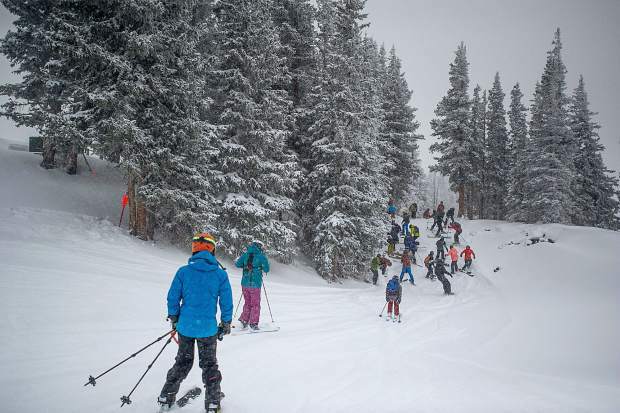 The early November snowstorms allowed Aspen Mountain to open Nov. 17, five days ahead of schedule with 170 acres. And while Snowmass did not open early, its Thanksgiving start opened with nearly 600 acres and riding all the way up at Big Burn. 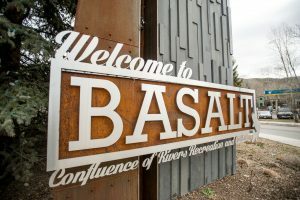 In 2017, the resort’s opening day had just 19 acres, all on beginner terrain. 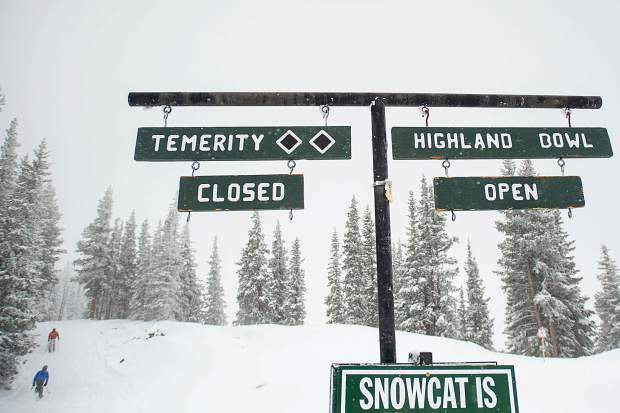 Buttermilk, the last of Skico’s four resorts to open, will start spinning its lifts Dec. 8. And that opening should include a fair amount of coverage as the snowstorms are forecast to continue through this week. The forecast for today includes a few fresh refills. 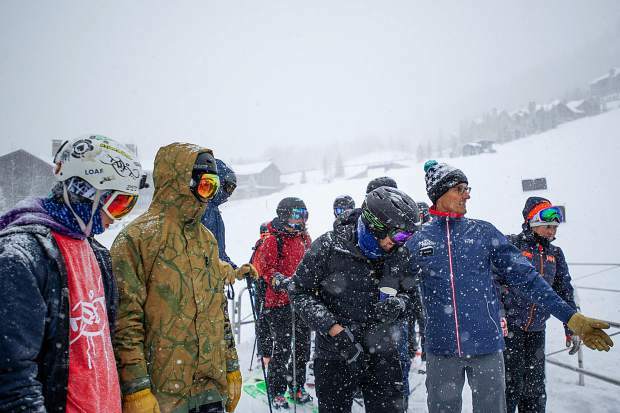 “We’re going to open Buttermilk next week wall-to-wall,” Aspen Skiing Co. President Mike Kaplan said Saturday before helping in the lift line and then shoveling the steps to the ticket office. “We’re pretty excited about that. You couldn’t script a better opening to the year.